Today’s post is kind of one of those rambly ones. One of those posts where I haven’t really had any thought about what to write. I am quite simply tucked up in my bed, cosy, on a Sunday afternoon and talking to you about life, and how I feel right now. I love these posts. I think they are my favourite. So, what are we talking about today? WHY AM I SO INDECISIVE???? I have always been quite indecisive. You know the drill, that situation where someone asks you where you want to eat and you just reply like I don’t mind, you pick. Bang, that is the problem. Being afraid of confrontation, just wanting to settle for what the other person wants, almost to please them. (Even though you really crave a really tasty Wagamamas) So yeah, okay I am a pleaser. I also spend a lot of time deciding what I want to eat, whether in a supermarket picking out a sandwich or what I would like for dinner. I have my days where I am just bored of what I eat everyday, so I wander around the store trying to think of something different that I can cook up… then realising I don’t have an awful lot of skill in the kitchen… so just settling for my standard pasta, pizza, and sweet potatoes. I had a stage where I thought I needed to cut gluten out of my diet, and as you can imagine that made this just SO MUCH HARDER. You are always asked “what do you want to do when you grow up” and when I think of this now, I am like woah… I am approaching my final year of education, probably EVER, and I still don’t really know where I want to go. (I have a rough(ish) kind of idea though) This final year is REALLY important. A game changer. Which brings me onto why this post is even here. NOTHING. Where is my light bulb moment like in the movies? Not fair. (of course right now I am totally procrastinating by writing this post instead, because it is always good to get this off my chest) Where do I go from here? This proposal doesn’t HAVE to be the final title. This isn’t ‘IT’ I can go back on my decision. But the idea of this proposal is so we can be matched up with the correct, appropriate tutors, which is really important / useful. I think the problem is that…. I JUST WANT TO DO SO WELL IN THIS PIECE OF WORK. The pressure is probably getting too much. All my ideas are probably really good ones, but they are ‘not good enough’. I really want to shine in this piece of work because I think it is where I can get the most credits. So I am just having a bit of an argument with my own mind at the moment, when really I just need to research and write write write write write ramble ramble. I want to make the right decision (duh obviously) but what I mean is, I don’t want to be in the position a few months down the line where I want to change my mind. This is something I can see myself wanting to do, but feeling trapped at the same time. I want to ENJOY what I am writing about, after all, 10,000 – 12,000 words is ALOT. Anyway, I WILL GET THERE. I am going to have another go after my delicious roast dinner! MMMM home comforts!! Thank you for reading lovelies. Are any of you indecisive too? It’s rubbish isn’t it! 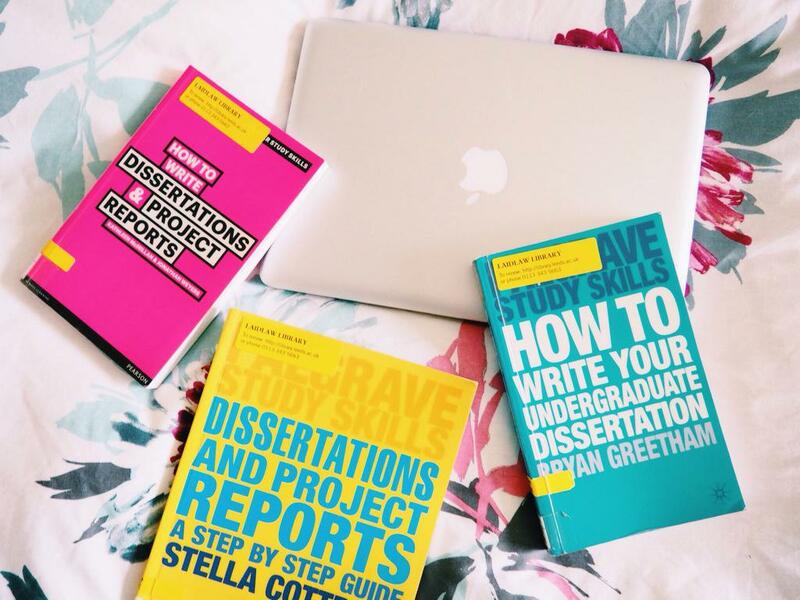 Do you have any tips for choosing your dissertation topic? Let me know in the comments! Welcome to the indecisive league! My answer when asked what I wanted to eat : "Anything edible is good for me"
I am so indecisive as well, When trying to pick a dinner with my boyfriend it takes about an hour! Good luck in picking your dissertation topic, I was lucky as my uni provides you titles and you get to pick one so it wasn't too bad deciding, but I'm sure you'll have your light bulb moment soon, just make sure it's something you enjoy learning about! Hey lovely.. my advice for your dissertation is to focus on a topic you enjoy. What is your course? and my main tip is to do link it with something that is new/unique. For example I did my dissertation on selfies! Crazy i know but i got an amazing grade for my topic being original rather than what everyone else typically writes about. I hope that helps! I'm the same! I ended up picking something I thought would work in my favour instead of something I enjoyed which was a mistake! Although I did study law so I don't know how much I could have enjoyed it haha! I am indecisive as well, but when it counted most I managed to find something different, sadly that just made everything more difficult in my case… Hope you found your inspiration!